Describing life with a newborn baby to people who don’t have children can be difficult, because it is completely life-changing and certain tasks, such as cleaning the house, can get neglected, but you can clean the house when you have a small baby. Here are some ideas. Be as organized as possible before the due date. Buy extra sponges, cloths and cleaning products, so that you don’t run out at the wrong time. Invest in a dishwasher and washing machine from a trusted retailer, such as Tesco, and you will save yourself time and energy when the baby comes. Cleaning your house is much easier if you clean as you go. So, if you use a plate, clean it once you’re done. The same goes for having a shower; after you’ve cleaned yourself take 30 seconds to give your shower a quick spritz. If someone offers to help you, say yes! Don’t feel like you need to be a super parent 100% of the time. Looking after a baby is hard work, so if someone offers to do the washing up, or to take the baby while you clean, do it. One neat trick to try before and after the baby arrives is to cook meals in bulk and then freeze the remainder for another day. Baby sling are great for babies and parents. 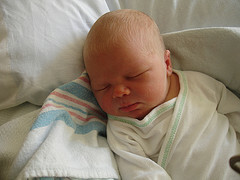 If you need to clean, pop the baby in a sling and get on with your work, which can also help the baby sleep! If you have the baby in a sling, or a wrap and they’re not happy, then simply plug in the vacuum cleaner and start cleaning. 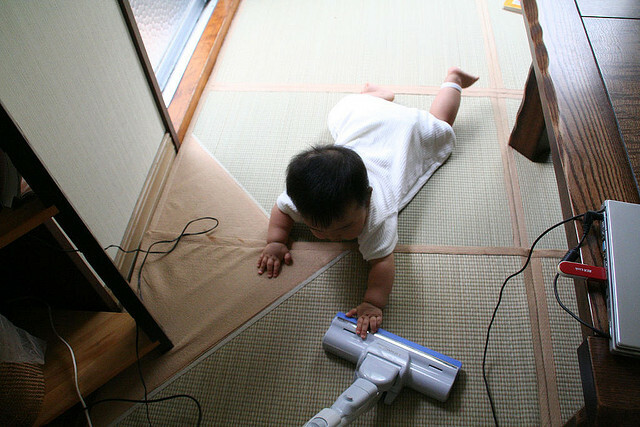 This will not only help make your carpets and hardwood floors look much better, but it will also help the baby, as the white noise from the vacuum cleaner will be very calming. Everyday cleaning tasks can pile up quickly, so try to be consistent about the jobs that you can do. A little goes a long way, so if you can commit to one or two tasks in the day, stick to them and you will see results. Can you dust while you sing lullabies? Iron laundry while carrying a baby in a sling? Then you’ve already mastered the art of chores and parenthood – keep up the good work! Break your chores into small tasks; clean one load of laundry, not four, or vacuum one room, not five, this will help you achieve your goals and make you feel better. When you bring a newborn home, the urge to continue life as normal can be overwhelming, but you need to be kind to yourself too. The world will not end if you didn’t get all the dusting done, so prioritize the basics, such as sleeping, eating and spending time with your beautiful new baby.